This week marks the end of this column’s twelfth year. Like those before it, 2010 was a busy and interesting year for Cape Region golf. January—Tom Lewis, an avid Cape Region golfer and former newspaperman, is fondly remembered. Scott Allen, who brought collegiate golf tournaments to Kings Creek Country Club and Bear Trap Dunes, is inducted into the George Washington University Athletic Hall of Fame. February—Cape Region golf superintendents Jim Prucnal (Kings Creek), Chris Adkins (Rookery), and Robert Crouse (Sussex Pines) discuss wintertime course improvement projects. Chipping and pitching troubles at the Pebble Beach tournament seem awfully familiar to us amateurs. We discuss preparing for the new season, with a new club or two or re-gripping those we’re keeping. March—Physical conditioning is emphasized as the season approaches, with stretching and the occasional plank exercise. The Cape Henlopen High School golf team begins their pre-season in mild weather, a change from the norm. Rookery Director of Golf Pete Oakley shuttles across the planet for the European Senior Golf Tour. Cape Region country clubs offer new membership incentives. April—Ruddo’s Golf moves north on Route One to a new retail location. The Cape golf team wins its first three matches, against Smyrna, Sussex Central, and Seaford. Our annual spring golf trip returns to Pinehurst, North Carolina. Duane Taylor makes his first hole-in-one at Marsh Island Golf Course. Cape’s golf team suffers its first losses of the season, against Sussex Tech and Milford, but beats Polytech, Lake Forest, Laurel, and Indian River. The Vikings then lose to Caesar Rodney at Wild Quail GC. May—The Vikings return to the victory column, with wins over Delmar and St. Thomas More. The team then plays its best scoring round of the season, but it’s not enough to win against Dover. The Vikings last dual meet of the year falls victim to the rain, and the team takes seventh place in the Henlopen Conference Tournament. June—The Cape golf team finishes twelfth in the state tournament. Coach Claudio Smarrelli resigns after several successful seasons. 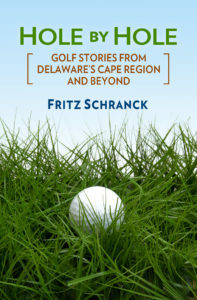 One hundred junior golfers play in this year’s Rehoboth Beach Junior Open, Shawnee CC golf pro Devon Peterson recounts a darkly funny hole-in-one story. July–Kings Creek members and friends raise over $10,000 for golf scholarships. The summer heat wave provides an opportunity to discuss prevention and treatment for heat stroke and exhaustion. I begin a slow process of replacing a driver that goes too high and too left. Another Myrtle Beach golf course closes, and hardly anyone is upset. August—A golf club stuck in a high tree branch shows how much some folks care about how they play. Shouting “Fox!” at just the wrong time did not help my playing partner’s putting. Junior golfer Brock Maloomian wins a US Kids tournament in Philadelphia, and other local golfers begin reporting in their club’s tournament results. September—Cape Region golf courses participate in the Patriot Golf Day fundraiser for the Folds of Honor Foundation. Our discussions of the USGA’s Rulings of the Day continue. Cape Region golfers Dave Mason and Don Sikes score aces at Old Landing and Shawnee, respectively. October—Heavy rains convert Penn’s fall college tournament at Kings Creek CC into an 18-hole event. I talk about my improving golf game, which turns out to be the best way to put an end to it. Sarah Jane Beckwith of Sussex Pines wins two prestigious WPGA tournaments. November—A proposed golf course land grab in Venezuela highlights one of the differences between that country’s current leadership and our own constitutional protections. A golfer’s options when a ball bounces on pavement become a new Ruling of the Day. December—The Delaware State Golf Association’s Frozen Fridays tournaments include many Cape Region golf courses as the hosts. This year’s Christmas golf gifts to avoid include fake hair and camouflaged golf cart covers. Thanks for reading! I look forward to another year of writing about Cape Region golf.